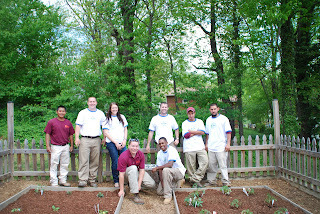 On April 20th, 2012 Kane Landscapes participated in the Professional Landcare Network’s (PLANET) annual Day of Service. This year Kane chose to work with Main Street Child Development Center in Fairfax, VA, a daycare and preschool for limited income working families. 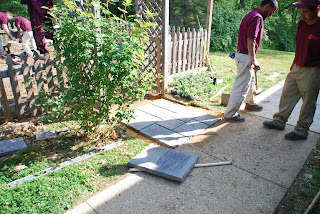 After meeting with the director of MSCDC, we thought that a memorial garden at the center, established for one of it young students who died unexpectedly, needed some restoration. 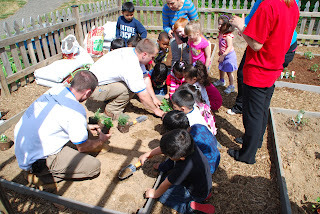 In addition, we wanted to do something that would involve the kids, to help them learn about plants and how to care for them. Four of our team members arrived at 7:30 AM to prepare and repair the garden. 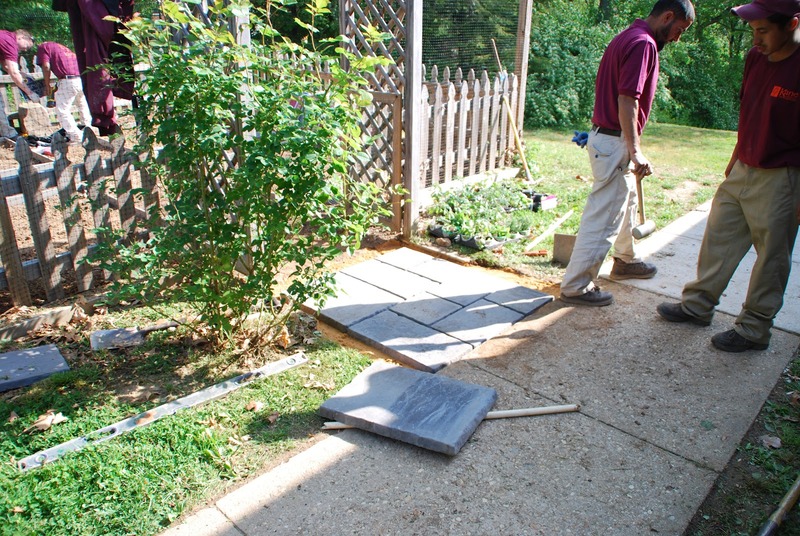 First we installed a paver landing between the sidewalk and entrance to the garden and trimmed the rose bush to spruce up the curb appeal. 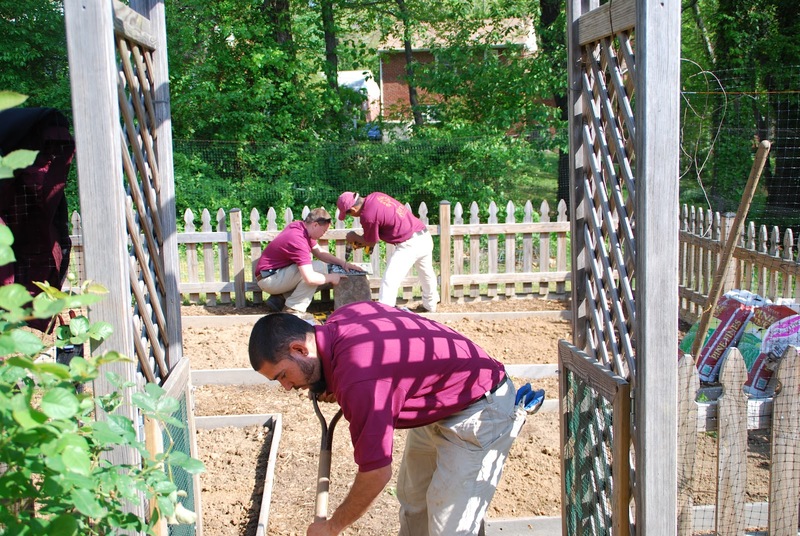 Next, we weeded the garden and tilled the soil to prepare it for planting. We also added cedar mulch for the walkways between the planting areas. And most importantly, we installed the plaque for Sarah’s garden on a stone pedestal so all the visitors will remember who the garden is for. At 10:00, 4 more team members arrived to help with the 72 children between the ages of 2 and 5, and the real fun began! First the students learned how to plant fruits and vegetables in their garden. The children worked in pairs to dig the holes, plant the fruits or vegetables, water it, and then mark their plant with their names and the name of the plant. 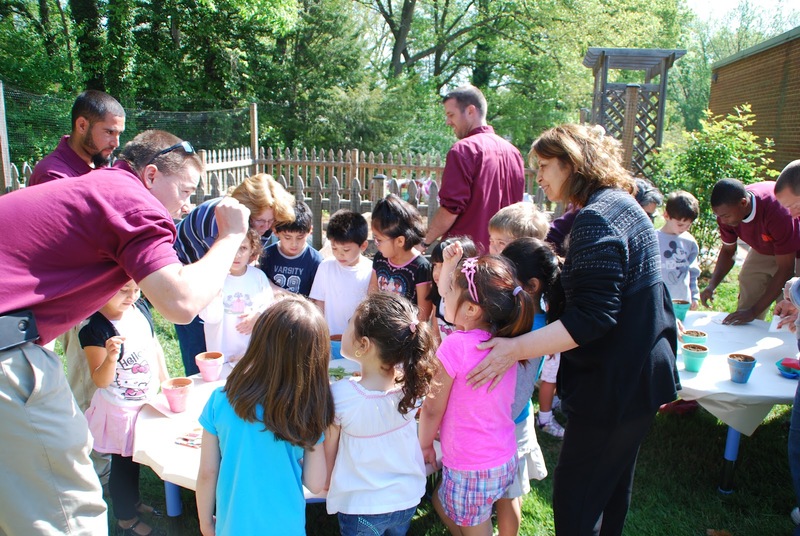 Next, the children learn all about seeds and how it takes soil, sun, and water to grow a seed into a plant. Each child was given a clay pot, which they had decorated with paint, and then our volunteers showed them how to plant tomato seeds in their pots and how to care for them until they grow. The children will keep their tomato plants in their classrooms until they grow, after which they will take them home to their families. 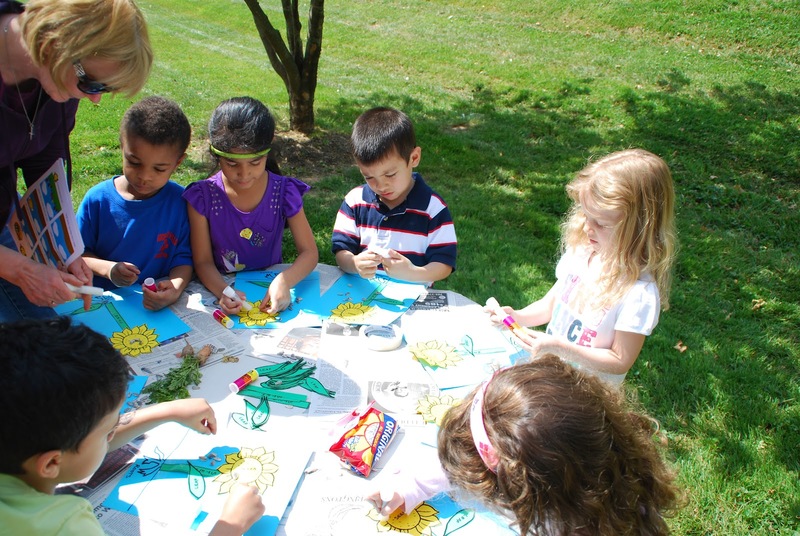 Then the children learned all about the different parts of a plant by gluing together the parts of a sunflower. They learned that the roots absorb the water, the leaves make food for the plant, the stem carries the water and food, and the flower makes the seeds which make more flowers. The most rewarding part of the day was seeing how excited the children were about learning. From digging up worms, to watering their plants, and even singing a song about their sunflowers, the children turned our service project into a memorable and truly rewarding experience.